"Lawful Device Access without Mass Surveillance Risk"
Among the more controversial topics at the intersection of public policy and technology concerns government access to the contents of encrypted devices (e.g., cell phones). It is a conflict that inherently pits individual rights (i.e., securing our data against unauthorized access) against collective rights (i.e., the court system’s need to support lawful investigations). This conflict has driven a divide between those in the law enforcement community who have argued that new technical measures are necessary to ensure that a lawful access capability can be maintained and civil libertarians who argue that any potential technical measures will open the door to mass surveillance and inherently weaken security against other threats. However, this topic, in its modern form, has had very little exploration by the research community and thus most of the debate around this issue has remained abstract and highly polarized – filled with loaded terminology (e.g., backdoors vs “Going Dark”), appeals to authority and refutations of strawmen. In this talk, I will try to provide a counterpoint by describing a particular concrete design – one that makes explicit tradeoffs to try and simultaneously support many lawful investigatory interests while explicitly curtailing risks of mass surveillance. I will explain the motivation for the tradeoffs I describe, the assumptions on which they rely and some of the interesting research questions that remain open. 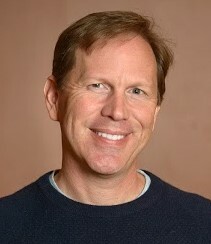 Stefan Savage is a professor of Computer Science and Engineering at the University of California, San Diego. He received his Ph.D. in Computer Science and Engineering from the University of Washington and a B.S. in Applied History from Carnegie Mellon University. Savage is a full-time empiricist, whose research interests lie at the intersection of computer security, distributed systems and networking. He currently serves as co-director of UCSD's Center for Network Systems (CNS) and for the Center for Evidence based Security Research (CESR). Savage is a MacArthur Fellow, a Sloan Fellow, an ACM Fellow, and is a recipient of the ACM Prize in Computing and ACM SIGOPS Weiser Awards. He currently holds the Irwin and Joan Jacobs Chair in Information and Computer Science, but is a fairly down-to-earth guy and only writes about himself in the third person when asked for a bio. He grew up on the Upper-West Side and is happy to be back visiting NYC.